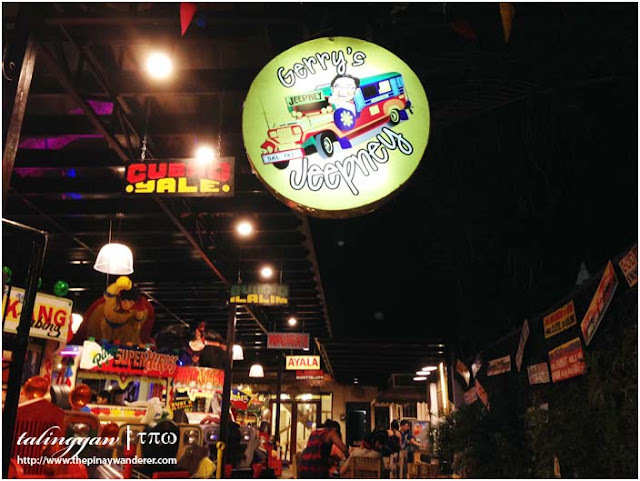 Gerry's Jeepney is a Filipino restaurant featuring Filipino's popular mode of transportation - jeepney, in its setting. 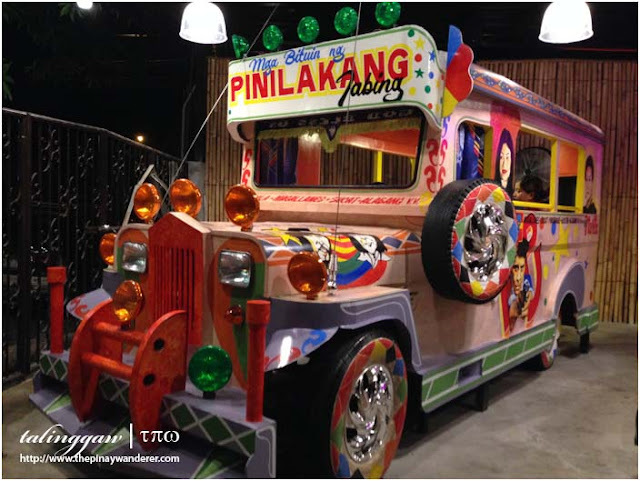 The owners use jeepney as a prop where customers can dine in it, boodle-fight style. 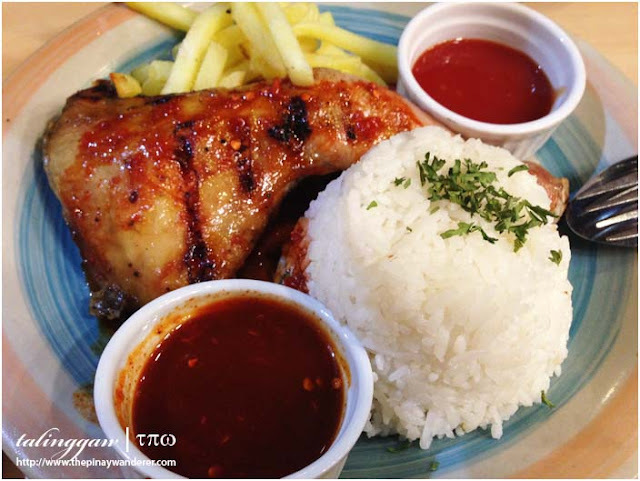 We weren't able to try their jeepney because of the long queue so we opted on their air-conditioned dining room. 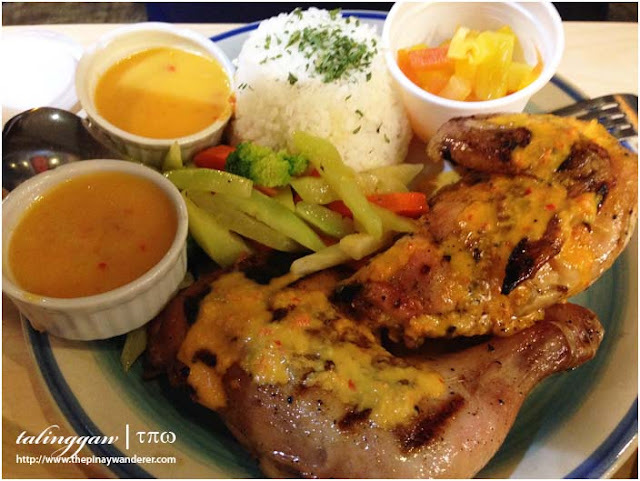 The restaurant offers typical Filipino dishes, binagoongan, kare-kare, inihaw na isda (bangus, hito, or tilapia), ensalada, etc. 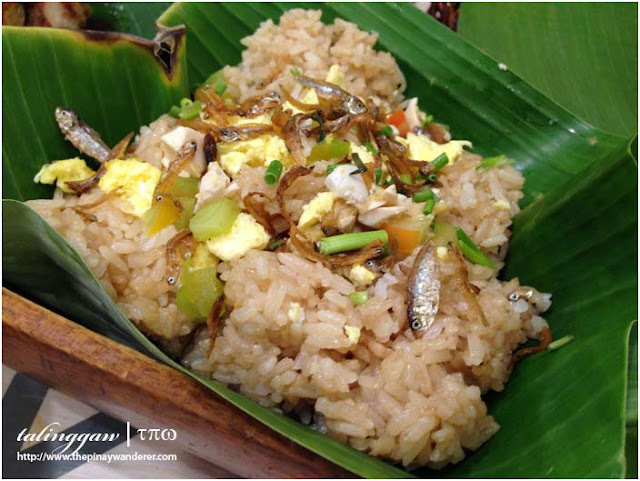 These dishes can be ordered ala carte or you can have them in a boodle-set package, all named after the various jeepney routes here in the Metro. 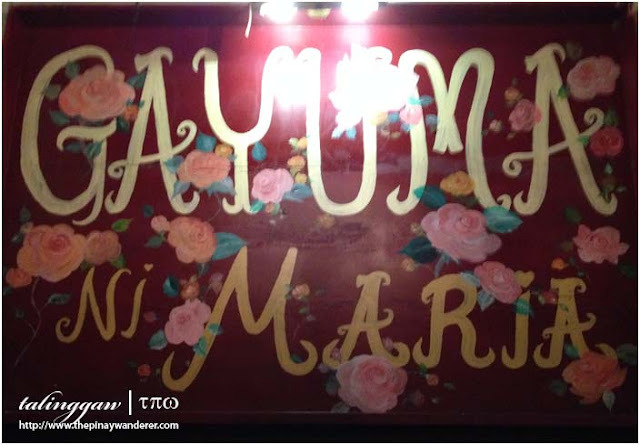 Gayuma ni Maria is a love-themed restaurant along Maginhawa-V. Luna Extension in Sikatuna Village. 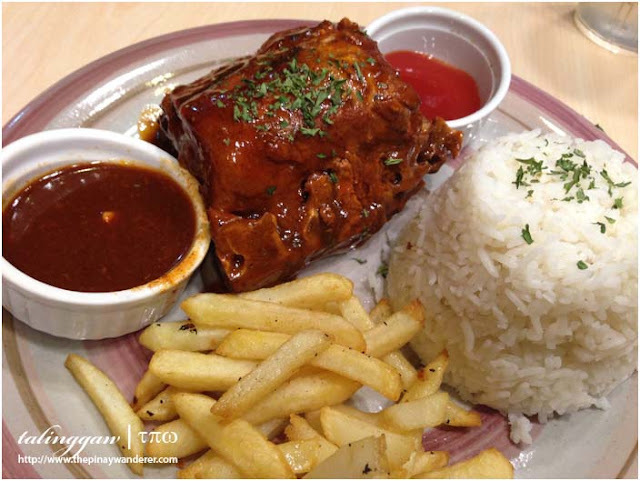 The restaurant is in an old house; its interior setting homey, it feels like dining in your own home. 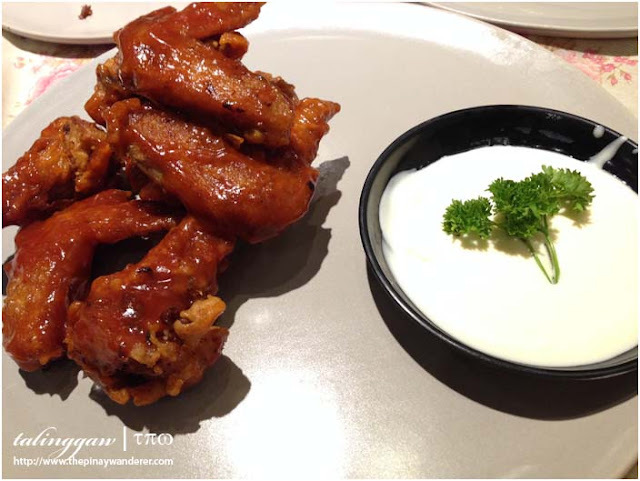 However, this food adventure is a big miss for us. It was just past 8PM when we get there but only few tables were occupied. 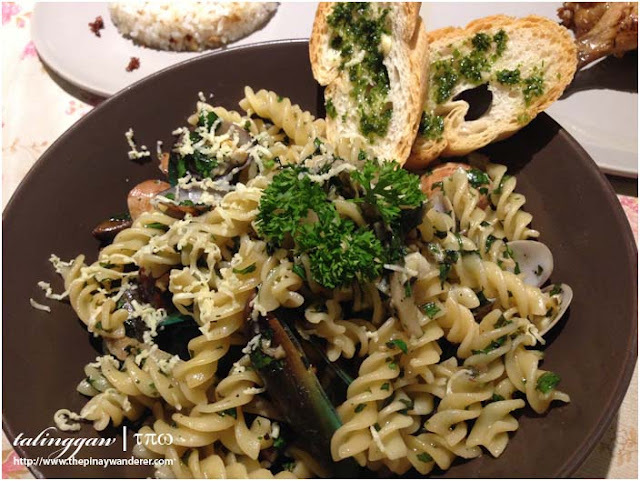 When one of the staffs came to us to bring the menu, she at once told us that only rock me baby (barbecued pork ribs @ 265 Php), please be careful with my heart (half roasted chicken @ 215 Php) and no boyfriend since birth (pesto pasta with shellfish @ 225 Php) are the only available dishes. Having no choice, we ordered the said dishes. 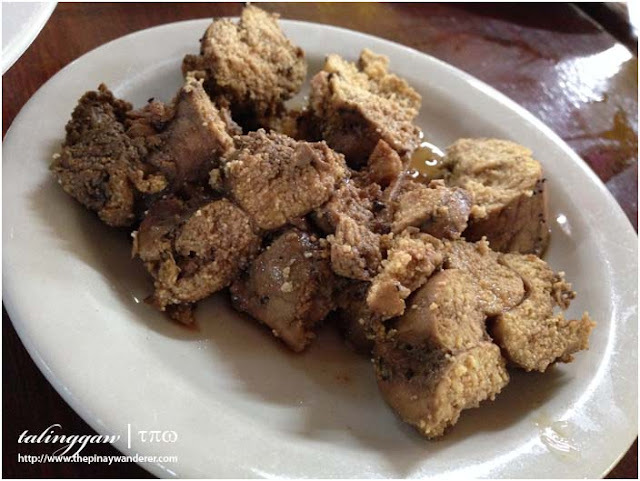 However, a few minutes later the staff came back telling us that rock me baby is not available but instead, nilasing ni eba si adan (roasted pork belly @ 275 Php) is what's available. Again, having no choice we go for it only to be told again a few minutes later that it's also not available. I got annoyed this third time I told the staff that she do something about it. I'm not ordering anything else but the ones she mentioned before. She apologized profusely and left for the kitchen. 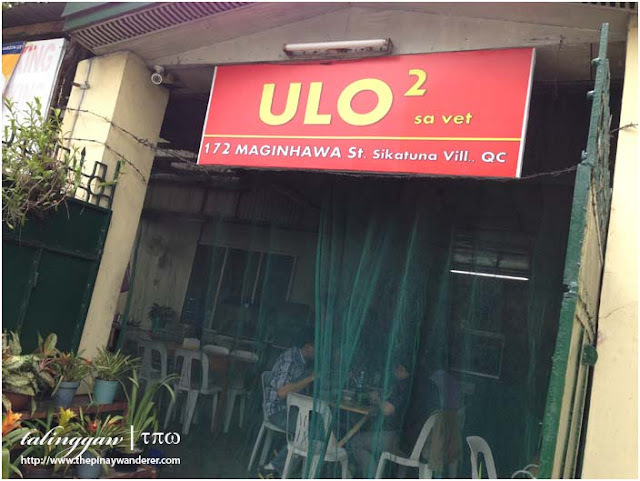 Ulo-Ulo sa Vet is an open-air carinderia-type of restaurant in Maginhawa Street. 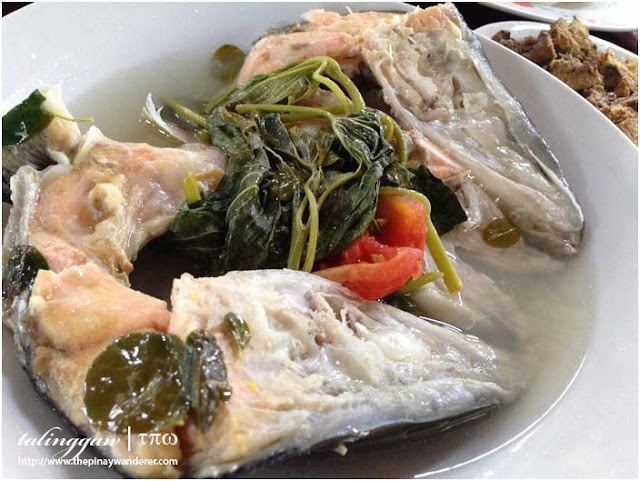 It offers ready-to-eat Filipino dishes but their bestseller of course is sinigang na ulo ng salmon (salmon head in sour broth). I forgot the exact price of the sinigang since it's been a while when we tried it but what I remember is that it's not worth the price. The serving is supposed to be good for two but it's so small it's not even enough for me. 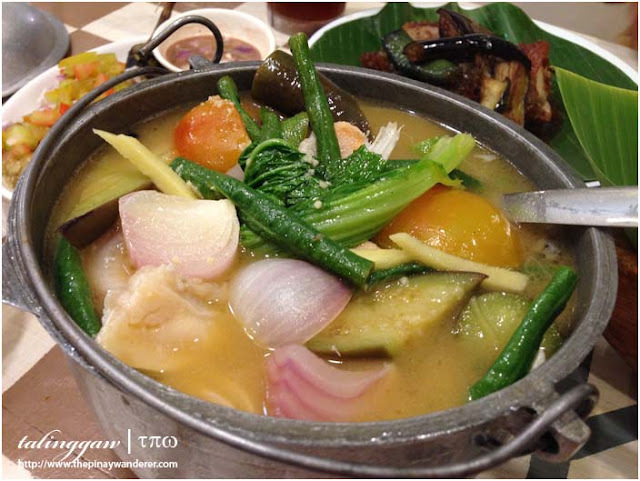 It tasted good though (sinigang always tasted good anyway), especially when dipped in our all-time favorite dip, calamansi with chili and soy sauce. 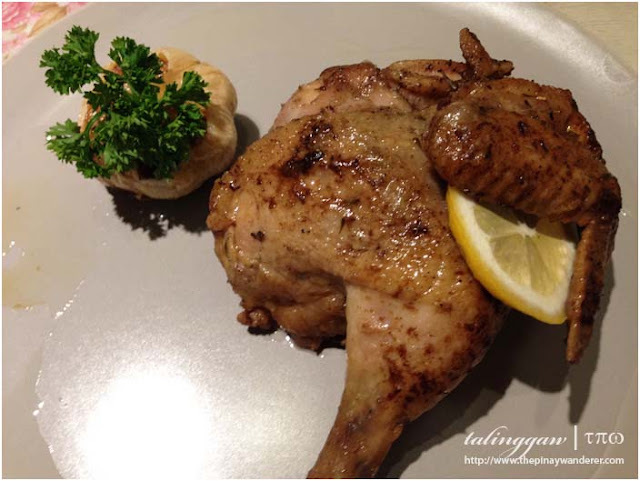 Anyway, because of its serving size, I would say this resto is a miss. The Daily Jusa is a take-out kiosk that sells fruits and vegetables juices and salads. 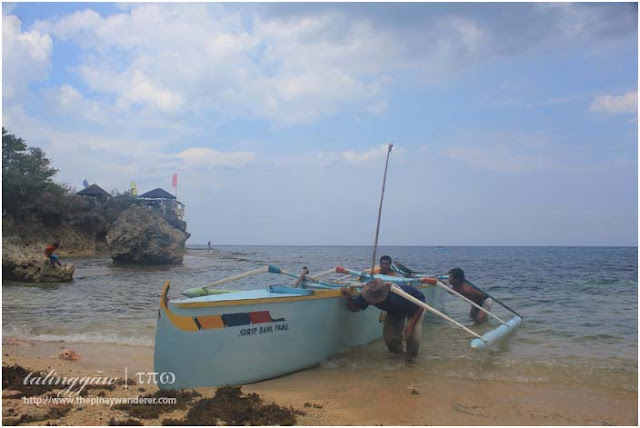 It also offers detox programs and packages for those health/diet-conscious people. They say their juices are all 100% natural, with no water and sugar added. I got curious and tried one of their bottled juice - the vitality boost which consists of watermelon, spinach, mustard leaves and grape juice extracts. It has this veggie aftertaste but the sweet taste from the grapes makes it bearable. I learned to like its taste eventually; love it actually I bought one again on our next visit. It's a hit for me though the price is not. It's quite expensive, 150 Php per 250ml bottle; discounted if availed in volume. 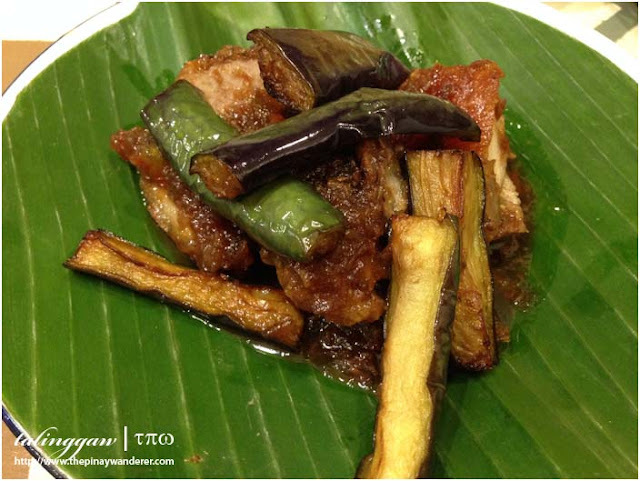 I'm so hungry just reading your post especially that binagoongang lechon kawali dish. Tag me along next time. I haven't been to Maginhawa for the longest time. Such a shame that you find Gayuma ni Maria a miss tho as I really like that place. Hehe! 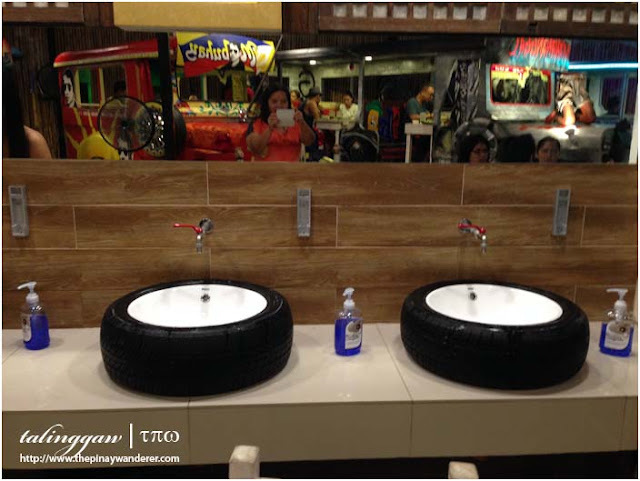 nakakagutom naman ito haha.. Pinaka gusto yung theme ng Gerry's Jeepney and i love how they serve the food too.. parang probinsyang probinsya yung dating.. cool..
Naku ang dami kong natututunan sayo tal! Wanderer ka nga! No wonder! ahahahaha (joke yun ah).